One of the biggest trends of 2017 is going to be the statement sleeve. We saw it start in 2016 and we'll experience it get even bigger this year. This is quite a fun trend, which let's you play with your style. Imagine a very simple base with a statement blouse, which makes the whole outfit look fashionable with almost no effort. Aren't those the best?! and since it comes in so many different details, it's easy to find something you love. This includes also statement shoulders, so depending on your comfort level, you could go super statement or just in a subtle way. What do you think about this trend? Looking forward to styling it? All these sleeves are just awesome! Great inspo! Personally I love this trend! Thanks for the wonderful inspirations! The looks are gorgeous and so inspiring!! They are all so trendy and stylish, need to have this in my wardrobe. Nice post. I'm still adjusting to the ruffle trend but am so in love with those green pants!! So many fab fab outfits! Love the sleeve trend! also wrote a post about it! So true, this trend is definitely one to pay attention to! I'm especially obsessing over turtlenecks with big, puffy sleeves. I like it. I'm looking forward to trying it out and seeing how I really feel about it. This is a cool trend! I've been hearing about this. 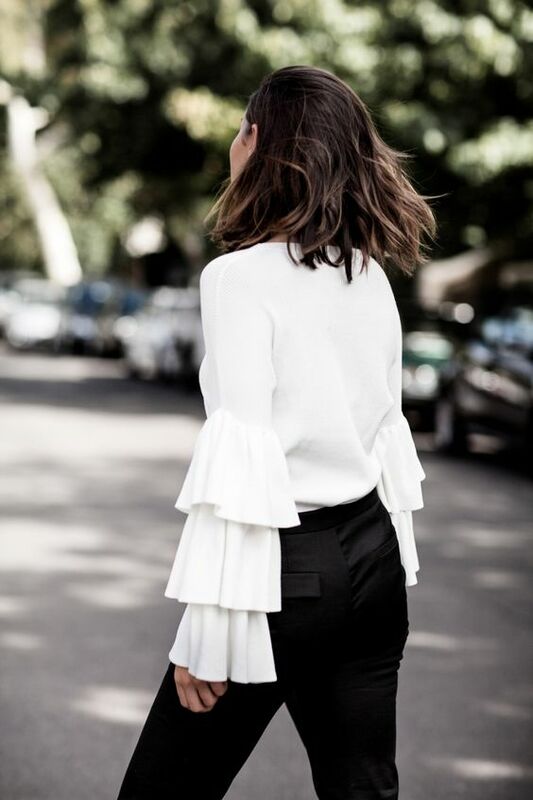 Statement sleeves are wonderful. Maybe not practical for everyday, but will make a statement when you go out. I am a huge fan of statement sleeves. Nice and cool inspiration for 2017!!! 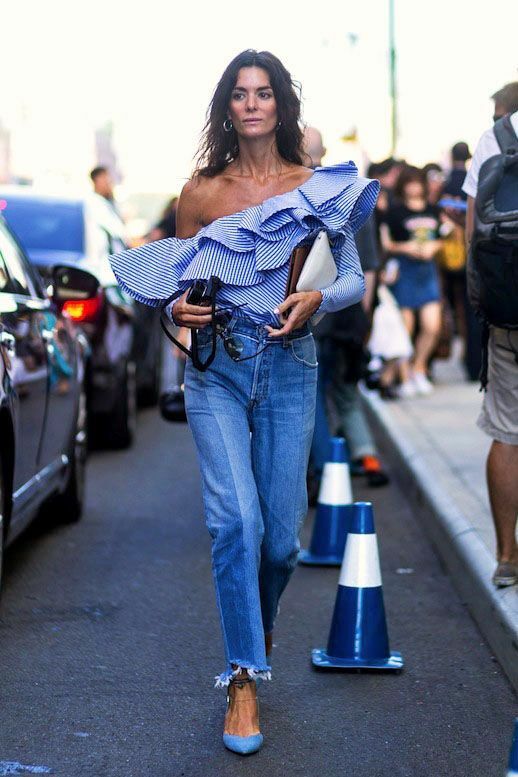 Absolutely LOVE the exaggerated ruffles! So dramatic and chic! Especially with a pulled back ponytail! Ooh lala! 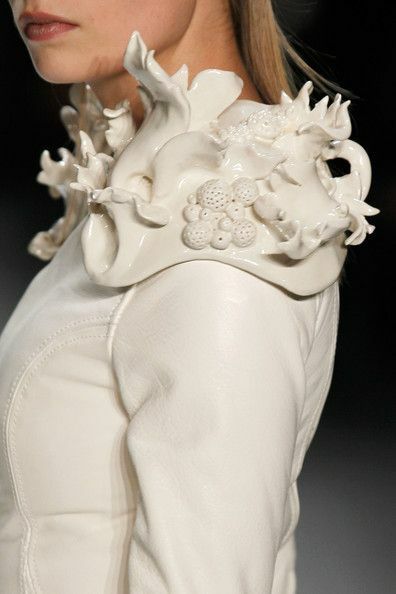 I love theses ruffles inspirations or theses big sleeves, so georgous. It inspires me so much !